Norbert Zongo was Burkina Faso's most respected journalist before his politically motivated murder in 1998. This novel is an eerily prophetic narra- tive, foretelling many of the events that preceded his death. His novel portrays a fictional West African nation named Watinbow led by President Gouama, a man of demonic energy and greed. Toppled in a coup d'etat, he must now confront the people of Watinbow, whom he has betrayed. This rare insight into the psychology of a corrupt African leader will help readers understand the nightmare of African politic. Norbert Zongo (July 1949, Koudougou - December 13, 1998) was the publisher and editor of the Burkina Faso newspaperl'Indépendant. He was assassinated after his newspaper began investigating the murder of a driver who had worked for the brother of President Blaise Compaoré. On December 13, 1998, Zongo's burned body was found along with bodies of his brother Ernest Zongo, chauffeur Ablasse Nikiema, and Blaise Ilboudo, in a vehicle near Sapouy, some 100 kilometers south of the capital city of Ouagadougou. An Independent Commission of Inquiry later concluded that Norbert Zongo was killed for purely political reasons because of his investigative work into the death of President Blaise Compaoré's brother Francois's driver, David Ouedraogo. In January 1999, Francois Compaoré, President Blaise Compaoré's brother, was charged with murder and harbouring the body of the victim in connection with the death of David Ouedraogo, his chauffeur, who had died as a result of torture in January 1998. The charges were later dropped by a military tribunal after Francois Compaoré appealed against them. In August 2000, five members of the presidential security were charged for the murder of Ouedraogo. Marcel Kafando, Edmond Koama and Ousseini Yaro, who are also suspects in the Norbert Zongo case, were convicted and sentenced to lengthy prison terms. Edmond Koama died on January 4, 2001. The singer Alpha Blondy wrote a song "Journalistes en danger" about the assassination of Norbert Zongo. On July 19, 2006, charges were dropped against the only person charged in the Zongo case, Marcel Kafando. This judgment has been called scandalous by Reporters Without Borders. 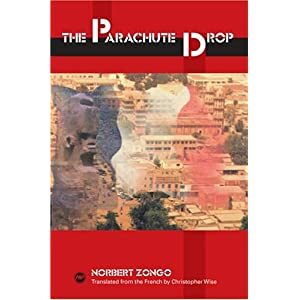 Zongo is the author of a novel that has been translated into English and is entitled The Parachute Drop, published by Africa World Press in 2004. Samples of his journalism have been translated into English and may be found assembled in an articled entitled "The Mobutuization of Burkina Faso," in The Desert Shore: Literatures of the Sahel, edited byChristopher Wise (Boulder, Colorado: Lynne Rienner Publishers, 2001).